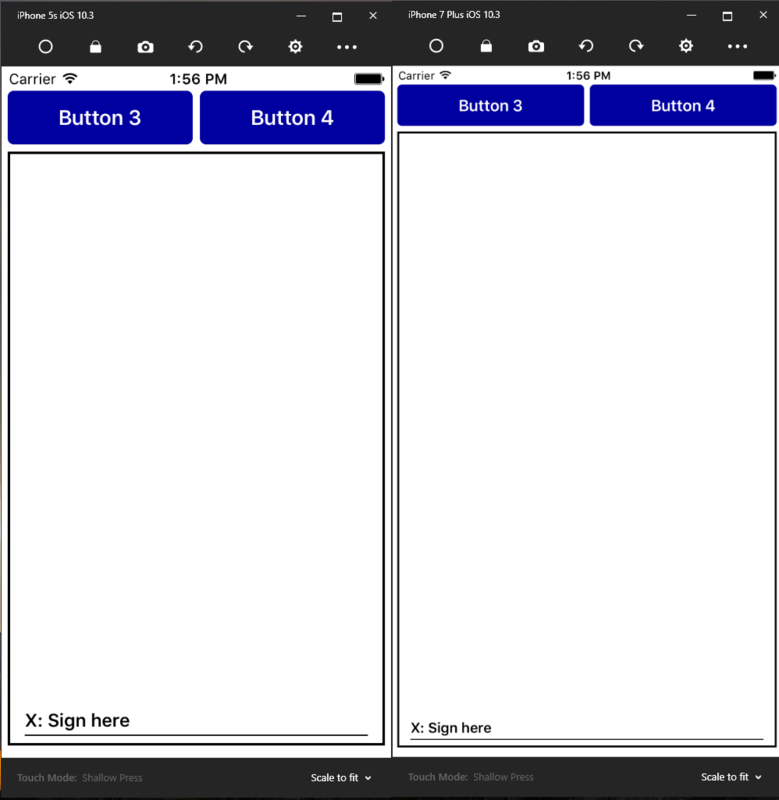 I am targeting my iOS application for various device sizes (4.7" and 5.5"). 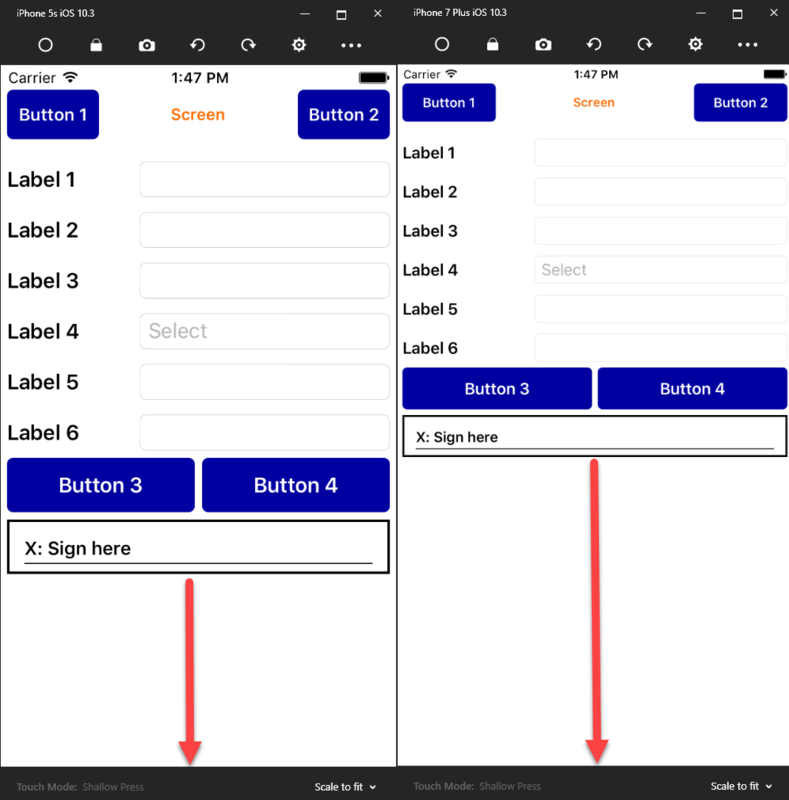 I am facing some issues regarding the lay out of the controls (text box , buttons and Signature Pad). When using only the signature pad with buttons in a single grid. the signature pad fits to the end of the screen. But when i add a stacklayout to include additional controls above the signature pad, I find that the signature pad does not stretch to the end of the screen. The blank space is indicated by the red arrow. Can anyone assist in helping to make the signature pad stretch to the end of the screen so that it fits any device sizes (4.7" and 5.5"). XAML Code is added below. Thanks a lot for your help. This works perfectly on all devices of different sizes.